Heading out on holiday to Walt Disney World? While it is a dream destination for families everywhere, thrill seekers needn’t feel left out either, as there are plenty of rides that will feed their hunger for living on the edge. Of the multiple parks that make up Walt Disney World, the Magic Kingdom is unquestionably the most popular, as it contains dozens of iconic experiences within its borders. If you are looking for exciting though, no ride will trigger your adrenal glands quite like Space Mountain. Located in Tomorrowland, this thrilling roller coaster is contained within a futuristic dome that simulates what flying outer space would be like. 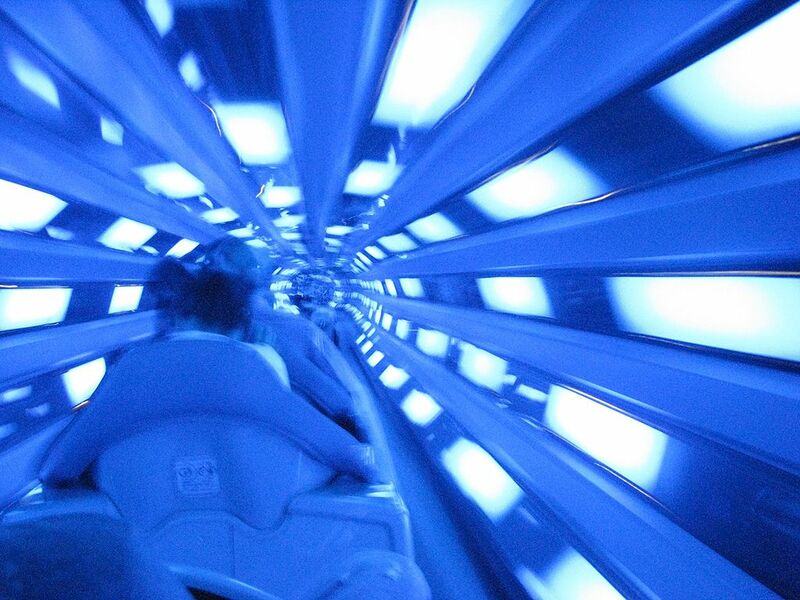 Complete with trippy lights and crazy sound effects, the speed of this ride is only enhanced by their presence, making this attraction one of the most popular at Walt Disney World. Wonder how people live on the other side of the world? Find out without blowing thousands of dollars on plane tickets by visiting the pavilions of 11 countries at World Showcase. Experience each of these nations through rides, immersive IMAX movies, and living history actors. Eat their food at themed restaurants, and buy their handicrafts that are representative of their culture in shops on site. Each pavilion is distinct from the others, as its architecture and design does their part of the world justice. If you can’t get enough of the movies, take things to the next level by immersing yourself within them. At Disney Hollywood Studios, you can do just that by buying a ticket for The Great Movie Ride. Situated within a replica of Grauman’s Chinese Theatre, this ride takes you within scenes from various film genres as you pass through a 1930’s era sound stage. From Sigourney Weaver killing aliens to Chicago mobsters facing off against each other, you’ll never have such an in-your-face cinematic experience quite like this in your life. The blistering Florida sun can punish visitors to Walt Disney World from mid-spring to mid-fall, which will make you long for the blissful waters of your hotel pool halfway through the day. Combine the pursuit of fun at Walt Disney World with cooling off by spending a day at Blizzard Beach. Adrenaline addicts will want to tick Summit Plummet off their list, as this extremely steep slide was the fastest one in the world when it opened in the 1990’s, so don’t chicken out. Get it done and you can brag about it to your friends back home (you can even buy a shirt saying that you survived it). Posted in Destination, USA and tagged with family travel, Florida, theme parks, USA, Walt Disney World. RSS 2.0 feed.